Non-enveloped, head-tail structure. 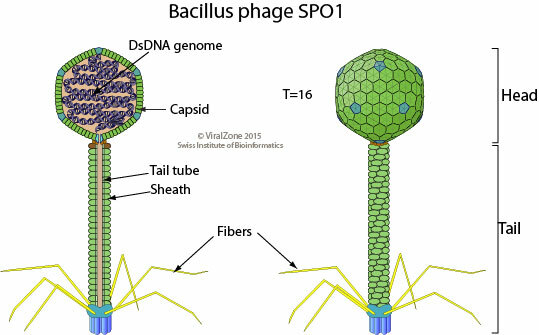 The capsid is about 84-94 nm in diameter and has a T=16 icosahedral symmetry (Spounalikevirus) . The tail is 140-219 in length, contractile with globular structures at its tip, has 6 long terminal fibers, 6 short spikes and a double base plate. Linear, dsDNA genome of 130-160 kb, encoding for about 190-230 proteins. 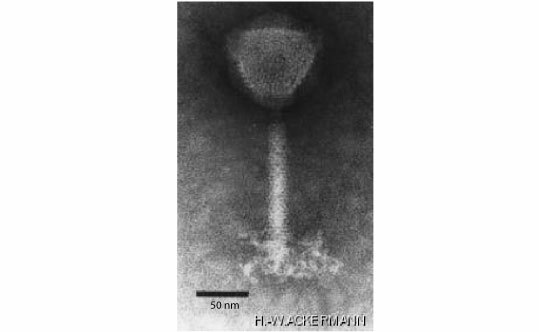 Some Twortlikevirus might have circularly permuted genomes.